These are some pictures from last weekend that I like too much not to blog. 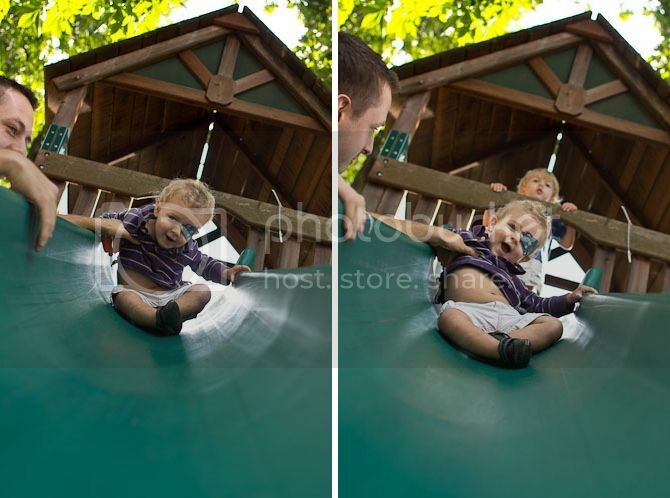 The boys were having a blast on the slide--Braden just thinks it's the best thing ever when he gets to play too. 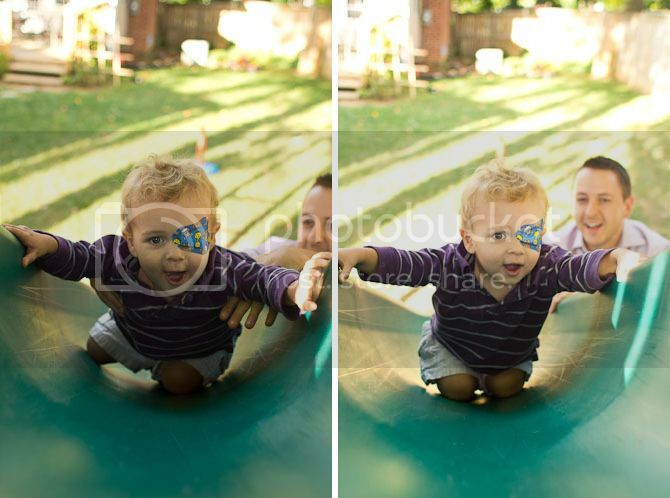 He can actually climb the stairs and go down by himself--but the slide is superfast and a little unsafe for him to go down unassisted. And eye update--he's back to being a little less tolerant of it... you have to watch him pretty closely before he peels it off. He clearly knows he's not supposed to though. He's a sneaky one. 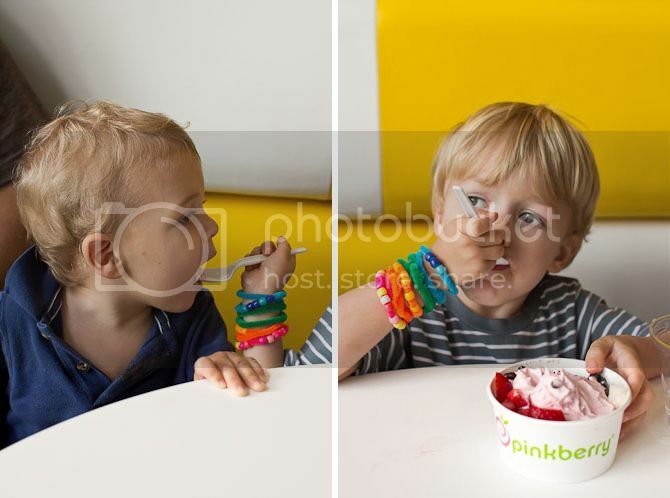 And a little bit of sharing at Pinkberry--Finley really does love to share his food with Braden. He asks for me to move Braden's high chair right up next to him so he can share whatever he's having with Braden. These ARE great pics Rach! And Finn's bracelets are cracking me up. He's a hipster. You guys always comment on my blog. I read your blogs (stalk them, basically) -- but if I forget to comment, thats rude, right? I should always comment, yes? And I agree with Vic - such cute shots!! Love that 28 lens!! I want!!! And did you get pink berry without me again?? I love Finley's bracelets! So cute! This is how you tame little boys...by hand feeding them. Do you think Finley knows that?